← Two more times round the Outer Circle this year! 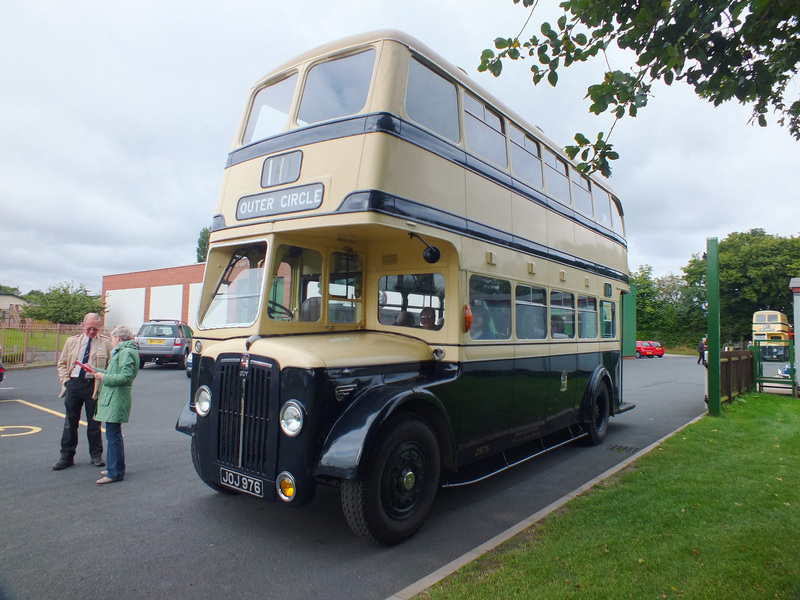 We all had two great days out on the Outer Circle in September. The bus (2976) was ready and in fine form, we had a great crew, fabulous weather and very generous passengers. Thanks to our passenger Nigel Collingwood we have a video of 2976 coming down Lordswood Road towards Harborne, click HERE to watch it on YouTube. A total of 72 intrepid passengers came with us on the 20th & 27th of September and through their generosity we collected over £300 towards our charities. We will post more pictures here soon along with a final figure for our charity donations. If any of our passengers from the 27th have any photographs of our tour, please send them to us and we’ll use them here on our site. This entry was posted in Historic Bus Tours, Historic Bus Tours for 2013, Outer Circle Bus Trips, Wythall Transport Museum and tagged 1950s Birmingham Corporation Double-Decker, Birmingham Bus, Birmingham City Transport, Bus Tour, Guided Tour, Guy Arab IV, Historic Bus Tour, I want to sit upstairs at the front, old buses, Outer Circle, Outer Circle Bus, outer circle bus birmingham pictures, Ride the Outer Circle, Vintage Bus Trip, Wythall Transport Museum. Bookmark the permalink.